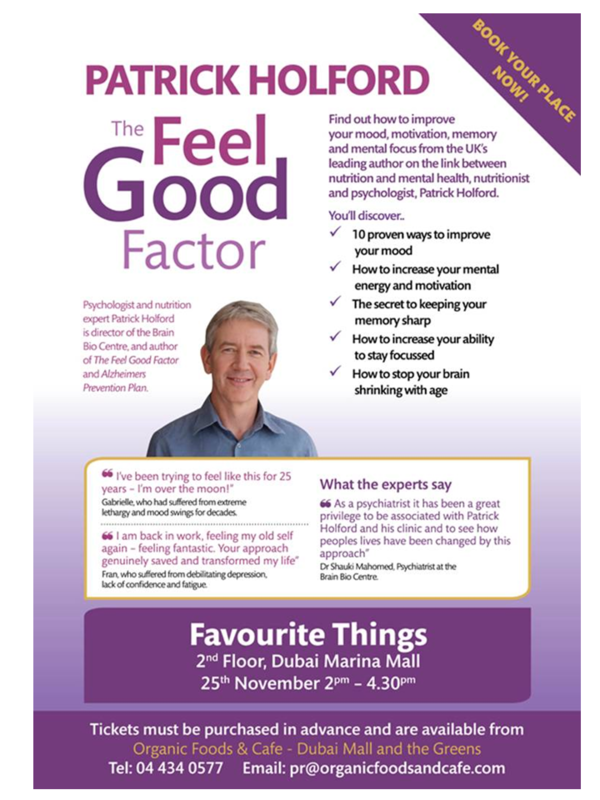 Find out how to improve your mood, motivation, memory and mental focus from Patrick Holford, award winning and world renown nutritionist at Favourite Things on November 25. While you can purchase your tickets at the Organic Foods & Café, they have also arranged some specially discounted tickets for their customers which you can purchase directly from Favourite Things for AED80 while stocks last. For anyone looking for a kick start to improving their wellbeing, this is an event not to be missed.